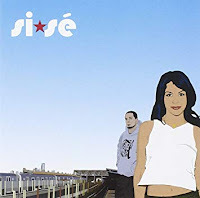 Si*Se's mix of Latin music and Electronica got some attention when this 2001 CD was released on David Byrne's Luaka Bop label. They also toured with him. They only recorded two albums but this one album is worth a listen. Carol Cardenas AKA Carol C. is a singer and a DJ in New York. She recorded with Jungle Brothers. But she wanted to experiment with mixing Latin music with Electronica. So she formed Si*Se with producer Cliff "U.F.Low" Cristofaro. When Byrne heard about them, he signed them to Luaka Bop and took them on tour. He brought in Michael Mangini to co-produce. Musicians are Cristofaro on keyboards, Ryan Farley on drums, Morgan Phillips on bass, Mangini on guitar, Jeannie Oliver on viola and Gordon "Nappy G" Clay on percussion. Clay was once a member of Groove Collective. Unfortunately, Si*Se only released the one album on Luaka Bop though it is worth checking out. Their 2005 album More Shine was on a much smaller label. So it did not get the same exposure. Cristofaro now calls himself Crystal Pharoah. He has released a couple of albums. But mainly he's a producer and remixer. Carol still DJs and her vocals have turned up on albums by DJ and producer Nick "Nickodemus" DeSimone. Here's the video for Bizocho Amargo by Si*Se.